Our offered Kitchen Sanitizer provides effective cleaning of hard (nonporous) surfaces, such as chopping blocks, cutting boards/blocks dining tables, food service equipment and countertops. 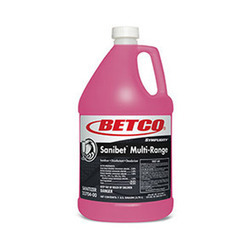 This is a non-rinse multi-range sanitizer with vast application use. Through many years of research, we are offering a wide range of Kitchen Cleaner. This kitchen cleaner easily removes grease, grime, filth and other deposited material on kitchen. Offered kitchen cleaner is processed by a team of vendor’s experts by utilizing top quality ingredients keeping in mind the standards of market. We are engaged in offering Satol Kitchen Cleaner. Multipurpose concentrated liquid detergent specially developed for kitchen cleaning needs. It is suitable for cleaning of all the hard surfaces like kitchen platforms, walls, floors, sinks, doors etc. It is a perfect blend of Anionic, Non anionic surfactants and Foaming agents. With the help of our professionals, we have been able to manufacture a comprehensive range of sweeping dusters. Cleankick is the most ideal daily cleaning solution for all types of Kitchen. 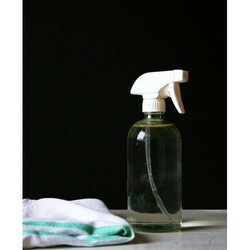 Be it home kitchen or Industrial Kitchen, Cleankick suits all your kitchen cleaning requirement.